Learn all about how to avoid drugs with nasty side effects and prevent or even reverse the physiological factors that lead to this sometimes fatal chronic condition. Whenever you visit a doctor what is the first thing that he (or she) does? Your doctor takes your blood pressure! Your doctor does this no matter what your other symptoms are and you may have wondered why this is always the case. In fact your might even be asking – “What does my blood pressure have to do with my health?” The answer is ABSOLUTELY EVERYTHING. That is why your doctor is so vigilant about taking your blood pressure right away. High blood pressure is a silent killer and it is an invisible daily slayer of millions of people all across the world. 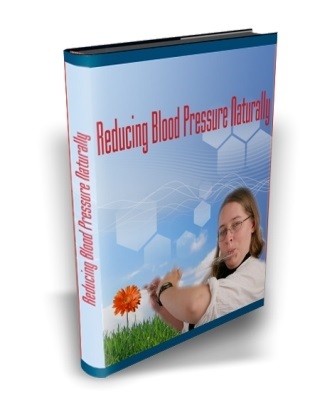 This eBook is going to give you the lowdown on high blood pressure and how to deal with it entirely naturally. It will also highlight many of the most common medical treatments for high blood pressure and why you should consider dealing with any high blood pressure problem naturally before you turn to potentially harmful pharmaceutical solutions. The secret to lowering your blood pressure in just fourteen days. How Yoga can help keep your stress levels under control. A chart that tells you the sources of potassium rich foods that can help lower your blood pressure. A rundown of the exercises and activities that can help you dump the weight that can cause high blood pressure. How learning to control your breathe can help reduce your stress and hypertension. How meditation and creative visualization can also be used to prevent high blood pressure. The trace minerals that you need to take to help smooth your blood vessels. The important role that magnesium plays in keeping your heart and blood pressure healthy. A chart that gives you the natural sources of foods that are rich in magnesium. An explanation of how garlic can work to help reduce your high blood pressure. How to use this common Indian spice to reduce blood pressure. How to use lemon juice as a treatment for high blood pressure. The miracle of Indian gooseberry and how it can be used to help hypertension. The special seeds that you can snack on that are also good for high blood pressure. How to “work out” more during the day simply by practicing your usual daily activities. Substitutes you can use for salt in your diet that can help lower your blood pressure.